After a busy summer season at Halley, our travel home was delayed due to sea ice around the Brunt and Stancomb Wills – which prevented the RRS Ernest Shackleton from making it in for it’s second call. 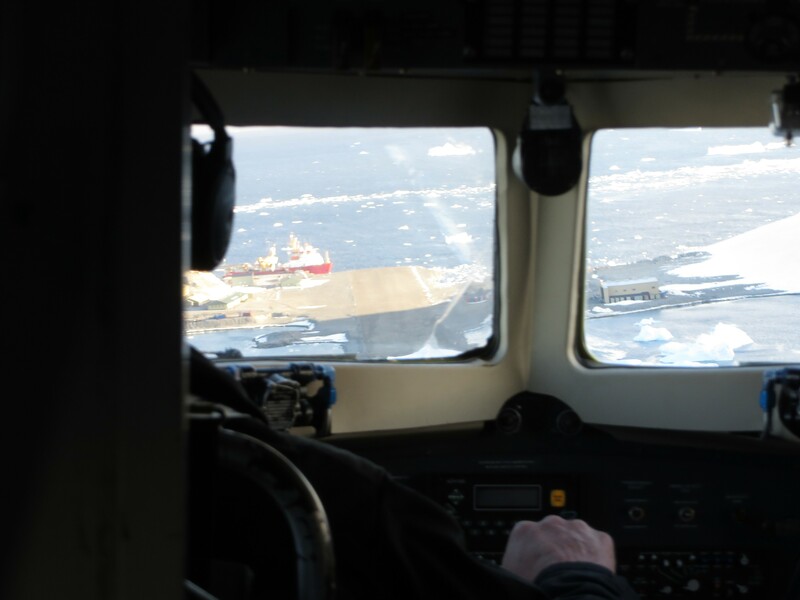 After investigating the options BAS decided to fly everyone out of Halley to Rothera, which is further North (making ship access much easier) and has a gravel runway (making it possible to operate a greater range of aircraft) – putting us somewhere that they have more options to get us home. View from front of Basler on approach to Rothera. 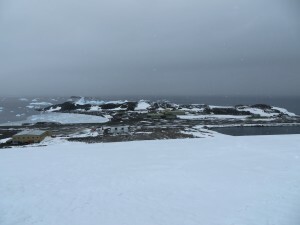 I am pleased to have had the opportunity to visit Rothera, having heard much about it – particularly because two of my wintering team had wintered there before and others had visited for summer seasons or travelled through on their way to Halley this year. It is surprising how different the two stations are. Rothera’s most noticeable features are it’s runway and the rock it is built on. During the winter months it does get a covering of snow, but arriving towards the end of their summer means the ground resembles a quarry – which in some ways it is, as the runway was built by blasting the rock the station is now built on. 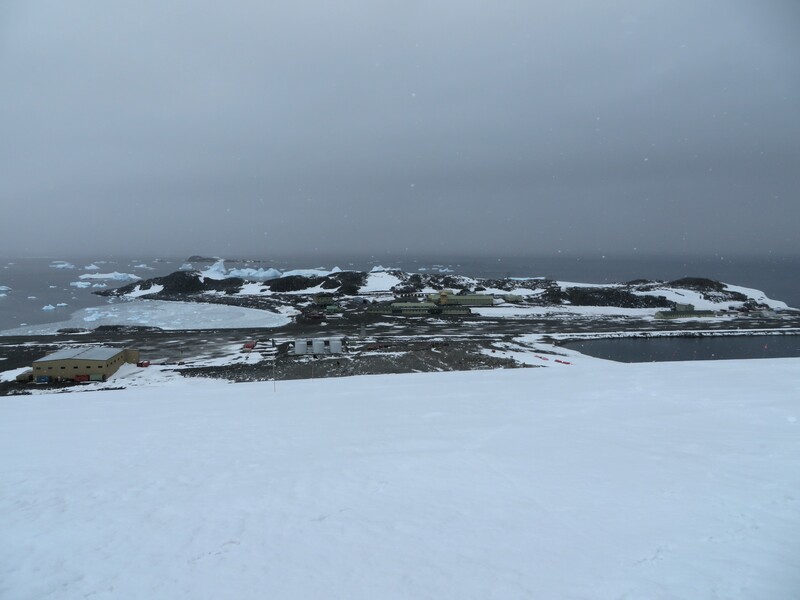 It is quite strange coming from the pristine white of the Brunt Ice Shelf to the dusty setting of Rothera; but, it is probably a good halfway-house to the UK! The temperatures were generally around 0°C during my visit, which meant one didn’t have to don extra layers for moving around outside (although they were advisable for longer durations, especially if not moving much.) 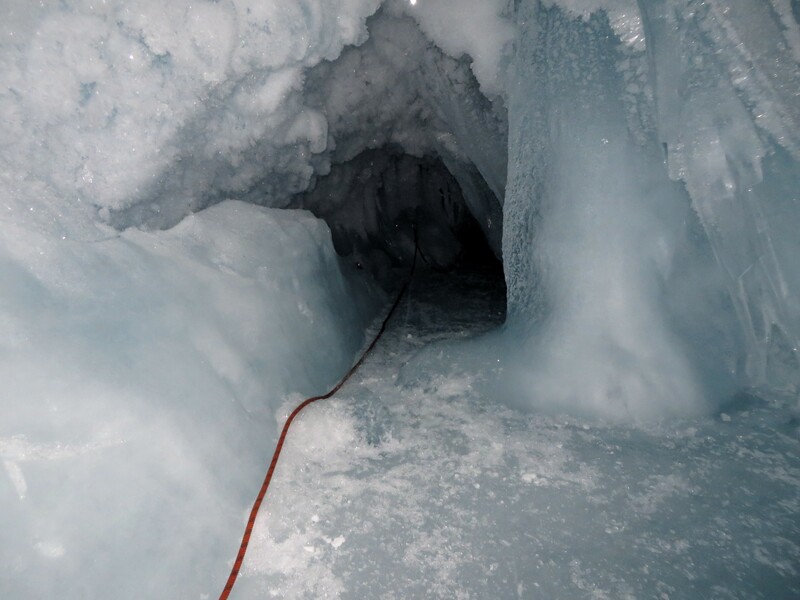 Having had a few days there, we were able to see most of the sights – a walk around the Point, visiting the Bonner and the Dutch marine biology labs, a tour of the upper atmospheric experiments (some the same as ones at Halley) and a trip up to Rothera’s ‘show crevasse’. 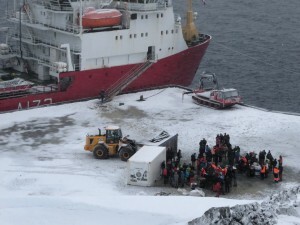 On Friday evening a barbecue was held at the wharf, alongside HMS Protector which will be taking most of the Halley group North. In true British style, we were not deterred by the wind and snow which also came along for the evening!